Earlier this month, a team of American and European archeologists found more than 60 thousand never-before-detected structures from the ancient Maya civilization. In the dense jungle in Guatemala’s Peten region, the team discovered thousands of houses, defence works and pyramids. Researchers say these structures could have been home to up to 10 million people. Despite these high numbers, Mayan culture is fading quickly around the country. Five-hundred kilometres away from the Peten jungles, several NGOs are working with Mayan women to help change this. Founded in 2001, Entre Mundos is a Guatemalan non-profit organization based in the city of Quetzaltenango. Literally meaning “Between Worlds” in Spanish, Entre Mundos serves as an umbrella organization to smaller grassroots organizations that are committed to sustainable development in Guatemala. It empowers its community through six areas of work: a capacity building program, information technology courses, a volunteer program, small grants program, a community tourism program, and magazine publishing. Through its range of programs, Entre Mundos aims to expand the abilities and competencies of other community organizations, so they may maximize their impact. 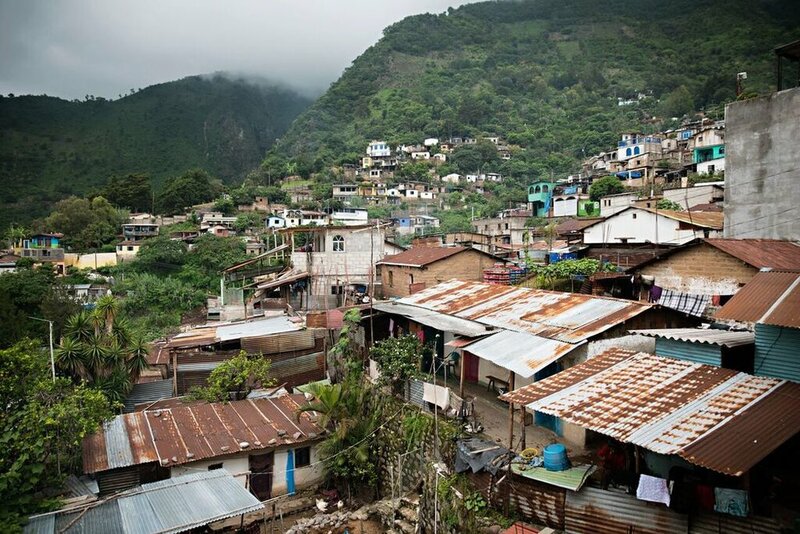 Earlier this year, Photographers Without Borders sent photographer Kathleen Hertel to Quetzaletengo. Along with the Entre Mundos team, she visited a number of organizations, including Asoderam and Semillas de Fe, who are recipients of Entre Mundos’ Small Grants Program. The Small Grants Program, which is mostly financed by the Planet Wheeler foundation, provides economic support and technical advice for grassroots organizations to manifest their projects. “Like many places in our world, Guatemala is losing its Mayan Culture. Entre Mundos is an organization that is trying to help save that culture,” says Hertel. “During my time in Guatemala, I got to meet with a lot of organizations that were designed to support women and the Mayan Culture. The locals who have started these programs genuinely cared about others and wanted to help". Hertel explained that these small grassroots groups are not simply giving supplies to people in need, but instead teaching them skills such as organic farming and fabric dying. Skills that could help generate an income to support their families. Over the past 15 years, Entre Mundos has achieved a high level of credibility at a national level. Each year, a minimum of 1,000 people from approximately 500 organizations from different areas of Guatemala benefit from the organization’s programs. From 2012 to 2017, the Small Grants Program alone has helped more than 110 projects from 59 different communities across the country. “It is very valuable to how the organizations grow because of the different programs we develop. We are able to connect worlds and bring together two different realities on a shared path toward knowledge, connection, exchange on several levels, and friendship,” says Lila Icks, Volunteer Programs Coordinator of Entre Mundos. Currently, Entre Mundos is having trouble achieving financial and administrative sustainability. As a non-profit organization, support from international donors are needed. But organizers say donating is not the only way to give. Volunteers who are bale to contribute time, energy and skills also make a huge difference to the organization. Their website offers a free database for people who are interested in a volunteer experience, with detailed information of approximately 900 organizations, and helps facilitate contact between the volunteer and the local organization. To learn more about Entre Mundos and how you can get involved, click here. This article was first featured in PWB Magazine #9, with edits by Jennie Pearson.